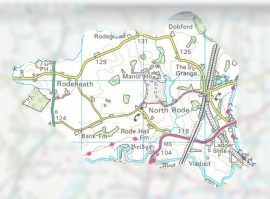 North Rode Parish Council exists to serve the small rural community of North Rode, a charming village that falls within the Macclesfield district of Cheshire East. The Parish Council aims to provide an effective and accountable local government for the parishioners and local businesses of North Rode. Building on North Rode’s strong sense of community we aim to support the village as a great place to live, work, learn and relax. North Rode Parish Council work on behalf of the village to represent the views of the North Rode to outside bodies. The Parish Council also carries out small-scale improvements within the village. The Parish Council consists of seven local members, two of which take on the annual elected role of either Chairman or Vice Chairman and North Rode Parish Clerk. Councillors serve a four-year term before they stand for re-election or co-option. North Rode Parish Council’s annual general meeting is usually held in May.